Understanding the many aspects of personal finance can be daunting. The trusted professionals at Cox & Cook Wealth Advisors have years of experience guiding clients through these areas. 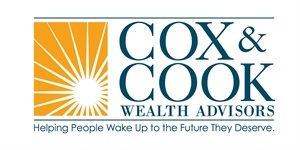 Cox & Cook Wealth Advisors is a Registered Investment Advisor (RIA) firm, operating under a fiduciary standard model. As an RIA we act in the best interest of our clients in all aspects of our servicing, financial planning and investment management. Cox & Cook Wealth Advisors goal is to provide you with guidance that can help you understand and better define your financial goals. Our team works hard to create a mutually beneficial and respected long-term relationship with our clients and their families. Being a respected firm in the financial industry for several years, we take pride in knowing that we have helped many people pursue the type of financial future they dreamed about. For more information about Cox & Cook Wealth Advisors and our services, please call. We would enjoy learning more about your goals and dreams. Cox & Cook Wealth Advisors is a Registered Investment Adviser with the Securities & Exchange Commission (SEC). 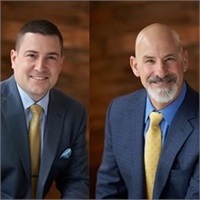 This web site provides general information about Cox & Cook Wealth Advisors, and it does not constitute a complete description of our services. The information is of a general nature and should not be construed as offering specific advice. Information is obtained from sources believed to be reliable, but we do not warranty or guarantee the timeliness or accuracy of this information. Nothing on this web site should be interpreted to state or imply that past results are an indication of future performance. Neither we, nor our information providers, shall be liable for any errors or inaccuracies, regardless of cause, or the lack of timeliness of, or for any delay or interruption in the transmission thereof to the user. THERE ARE NO WARRANTIES, EXPRESSED OR IMPLIED, AS TO ACCURACY, COMPLETENESS, OR RESULTS OBTAINED FROM ANY INFORMATION POSTED ON THIS OR ANY LINKED WEB SITE.